for its 2018 96% graduation rate! Come and see why so many families are choosing RACS! Congratulations to Class of 2K18! Honorable Regent Wade Norwood joined us in celebrating our seniors' 96% graduation rate! One of the most important decisions parents make for their children is which school they will attend. Choice in education was once a privilege reserved for the fortunate few but today, public charter schools now offer families unique learning opportunities never before possible. At RACS, we celebrate the power of choice by providing parents and students with unique life-changing learning experiences. Like public schools, our educational services are tuition-free. Unlike public schools, our approach to learning is different in ways that make a positive difference in our student’s lives. 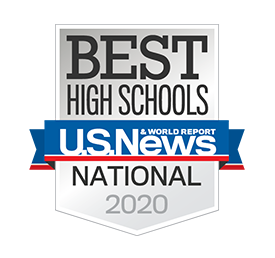 In 2014, RACS received a Best High Schools Award from US News & World Report. 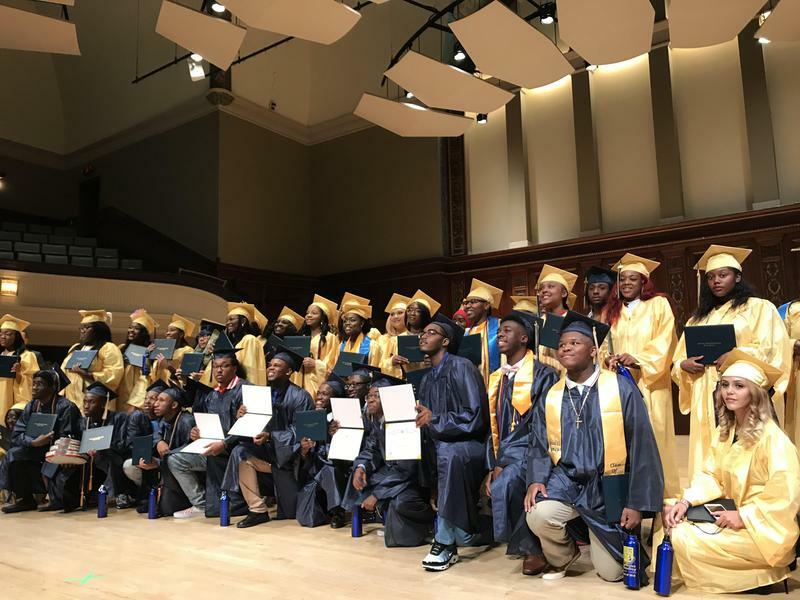 Our students were recognized for having the highest participation rate in New York at the prestigious 2015 Congressional Awards Program ceremonies. Our 2014 graduation rate of 97% is the highest of any public school in Monroe County. Increasing numbers of RACS alumni are now attending some of the nation’s best colleges and universities. At RACS, expectations run high. We expect more from students by challenging them with demanding academics including our Science and Technology Entry Program (STEP) run in conjunction with Monroe Community College. We expect more from teachers and hold them accountable for providing students with the motivation, inspiration and support they need to achieve. We expect more from administrators and staff by making sure they do everything possible to give students a safe, secure school environment where learning is always priority one. Use your power to choose the right education for your children. Explore how RACS is changing the minds and character of young people – one student at a time.